At The Sound at St. Martin Apartments, in Biloxi, we offer our residents the choice of one bedroom or two bedroom apartments for rent. Enjoy walking into a spacious, open concept floor plan with a large, galley-style kitchen featuring wood-style flooring, expansive countertops, and white appliances, and all of the cabinet space you could ask for. Every apartment is also complete with an over-range microwave and dishwasher in the kitchen. Our apartment homes also include full size washer/dryers for your convenience. Bathrooms are also incredibly generous with counter space and a large mirror. Your bedrooms come with oversized closets for all the storage you need, as well as, huge windows for tons of natural light. 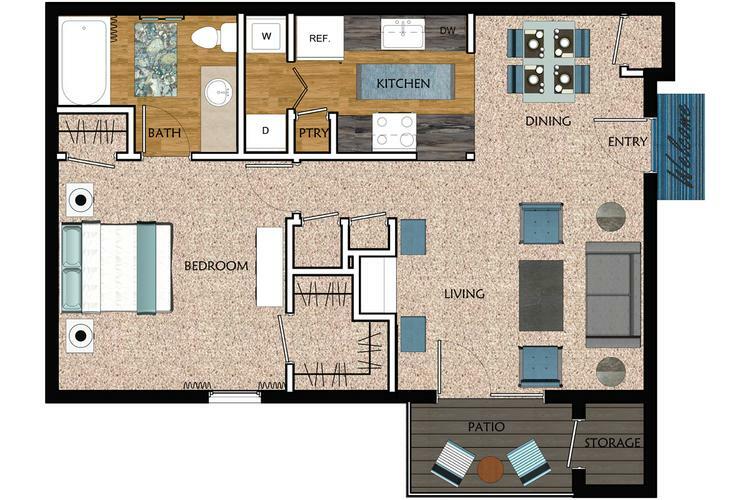 Each of our Biloxi apartment floor plan features your very own private patio or balcony, so you will be able to enjoy the outdoors from the comfort of your own home, as well as, a cozy fireplace, which will warm the heart of your home. Last, but not least, The Sound at St. Martin Apartments is a pet friendly community with no weight restrictions, so don’t forget to bring them along as it wouldn’t be a home with them! 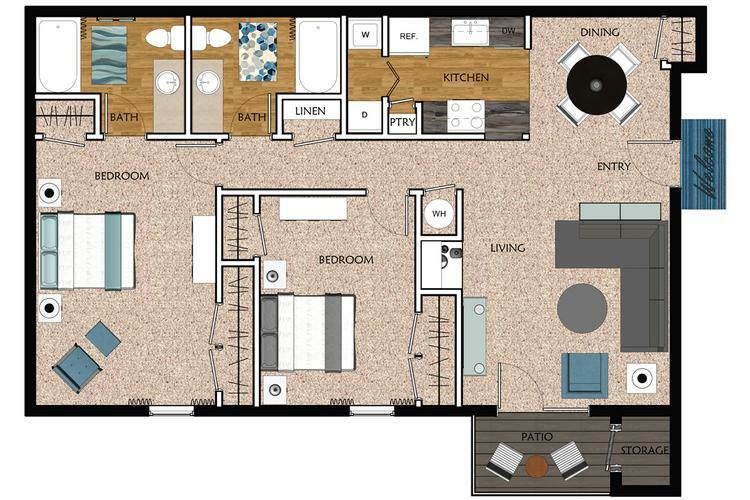 View all 2 Bedroom apartments! View all 1 Bedroom apartments! * Square footage is approximate and may vary.